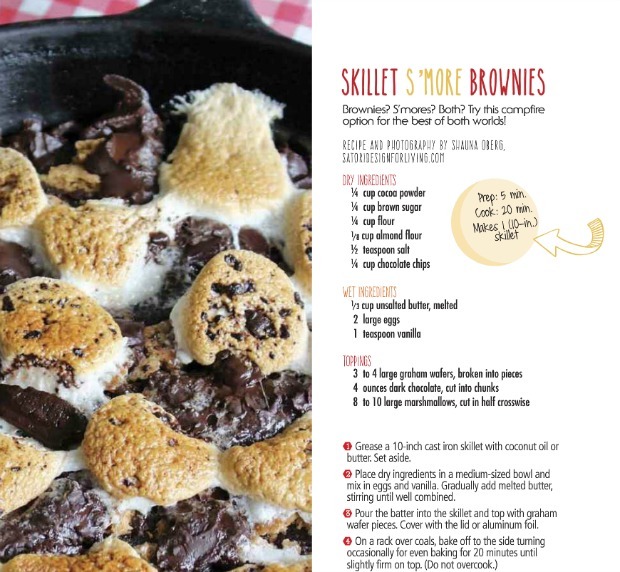 Check out Yum Food & Fun for Kids Summer 2015 edition featuring my skillet s’more brownies, plus more delicious recipes and ideas to keep the kids busy! Hello there! It’s been a couple of weeks since my last post and I’m so glad to be back. I’ve been dealing with some family health issues and, over the weekend, we moved our son home. I’m thrilled to be able to spend some quality time with him over the summer before he gets ready to head back to college in the fall. It always goes by so quickly! Another bit of exciting news is my feature in Yum Food and Fun for Kids magazine which just launched this week. 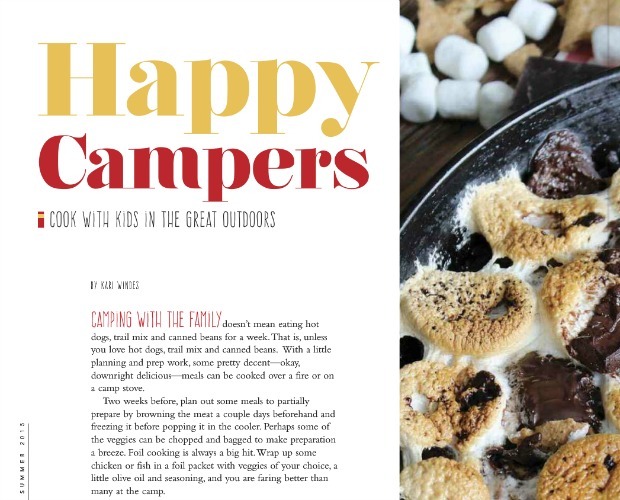 You may recall my camping-inspired dessert recipe I shared on the blog last summer. 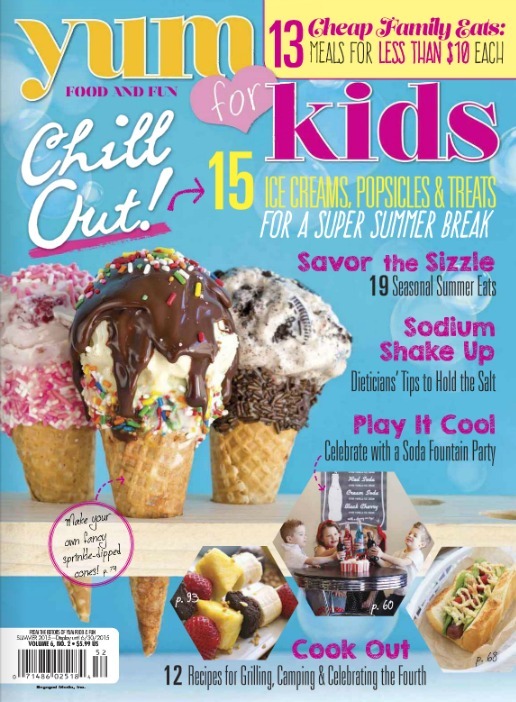 Well, one of the editors from YUM for Kids contacted me back in February to see if it could be included in their summer 2015 edition. Of course, I said yes! 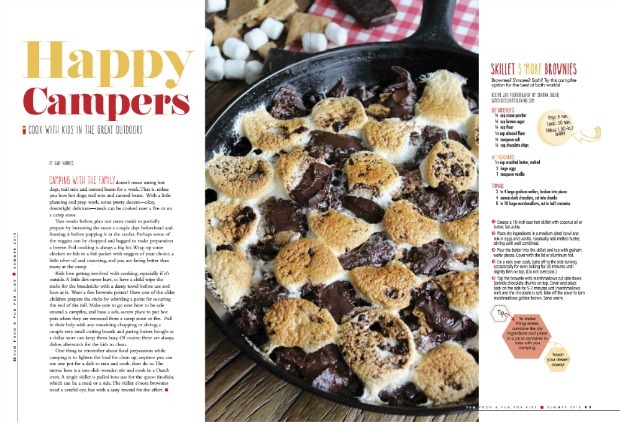 If you’re looking for more fun recipes, crafts, and ideas to keep the kids busy this summer, I recommend picking up a copy. So far, I’ve only been able to get a digital version, so please let me know if you see one in print. In this edition, Sara from Homespun Hostess talks about how to host a retro soda pop party and Cathy from Lemon Tree Dwelling shares a simple recipe for banana split kabobs. I’m definitely trying those! And, of course, there’s so much more that I simply can’t include. Believe me when I say I’m in good company. Just look at that cover and you’ll know what I’m talking about! Tomorrow, I’ll be back with a DIY Mother’s Day gift idea, plus an exciting new giveaway. I’m so glad to hear you are going to get some time with your son this summer… how wonderful! It’s going to be great having him home. Something tells me I’ll be back in the kitchen more whipping up decadent desserts like this one (all for him, of course)! This is so exciting, congratulations!! Pinning because it looks AMAZING. Must find magazine. Thanks Katie! If you find it, let me know, please! Love my cast iron skillet! Funny thing is that my husband was away for work when I made this, so only my son and I got to eat it. And, of course, we rub it in how good it was all the time! I guess I’ll have to make it again very soon, but it’s so darn decadent, so I try not to! Enjoy your weekend! Very cool, congratulations Shauna! It looks like a great feature (I must check out that recipe, thanks) Welcome back too, I hope everything is okay.